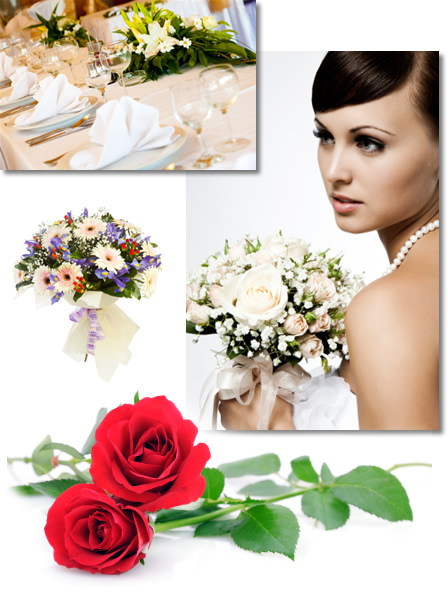 Our florist can design flower arrangements to suit your Bridal needs. For the Church, Bride, Bridesmaid, Groom, Page Boy, Table Arrangements, Corsages & Button Holds. Our selection on hand tied flower bouquets have been designed to make wonderful gifts to suit most occasions. Show that special person in your life how you feel about them with one of our stylish flower designs. From a single red rose to 3 roses to a beautiful elegant hand tied bouquet. Join the celebrations of welcoming a New Baby into the world by sending a beautiful flower arrangement. Gift baskets, hand tied bouquets for a baby boy or girl. Our floristy tributes are designed as a gesture to show how you feel at this emotional time. Thoughfully designed, our flower arrangements come in a wide range of colours & shapes respecting a feeling of love, peace and comfort as this sad time. Prices for wedding or funeral floristry are available upon request and can be tailored to your individual budget. Tell us how much you would like to spend or come in to have a chat to discuss your requirements. Contact us via the website, or give us a call on 01785 819444.